The purpose of this research was to investigate the nondestructive ultrasonic wave response in a stainless steel casting ingot with different size, shape, and orientation of shrinkage defects. The ultrasonic testing was implemented on an ingot of size 13x13x34 cm in dimension and the experimental results showed that with the real time B-scan image, the characteristics of shrinkage can be better evaluated. In addition, the metallographic image of shrinkage was also obtained to correlate the ultrasonic signal. In the years 1940 to 1950, the use of ultrasound technology to examine cast stainless steel have been fraught with difficulties. This is mainly due to the many variables of the inspected material, such as the microstructure, surface roughness, and exterior shape, that affect the reliability of a ultrasound testing. As a result, the use of ultrasound technology is not widely accepted in the industry. It was not until 1957 that A. H. Sully  was able to improve the reliability of ultrasound testing technology. The use of stainless steel in recent years have increased dramatically, surfacing in applications such as the elbows and pump bowels in a nuclear power plant. There has been much research in institutes to increase the reliability of ultrasound testing technology. Due to the different heat conductivity of casting materials, the orientation of the grains changes during it's casting. 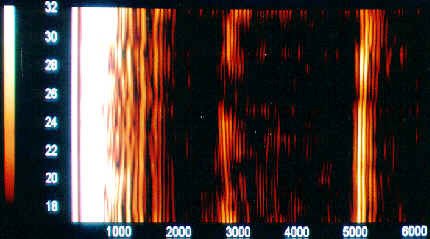 Between 1985 and 1987, D. S. Kuppermar  and others researched the effect of structure orientation on ultrasound propagation. 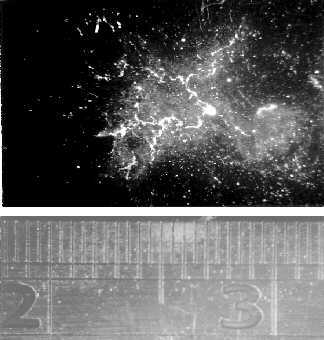 They also examined changes in ultrasound propagation speed, beam skewing , etc., to examine the properties of a material . Other people, such as C. Boveyron in 1992, looked into the different structure type of a material, columnar, fine equiaxe, coarse anisotropic, etc., as well as changes in columnar angles and their effect on ultrasound propagation and attenuation in stainless steel casting ingot . There has also been improvements in testing equipment and signal processing technology, both of which improves the characterization of defect signals. In 1994, M. Serre examined the parameters that affect an ultrasonic probe. These includes focusing, aperture, and damping issues. He also further developed the use of split spectrum technique to gain more information with regards to a casting ingot . Besides the variables affecting ultrasound testing described above, one also cannot ignore the intrinsic characteristics of the defects themselves. The shrinkage in a stainless steel ingot can be easily determined if the effect of it's size, shape, and direction on ultrasound propagation in the material is better understood. Unfortunately, there is not enough data to support any conclusions in this area. This experiment seeks to examine the correlation between shrinkage and ultrasound propagation. The phenomenon of shrinkage occurs during the casting of stainless steel. 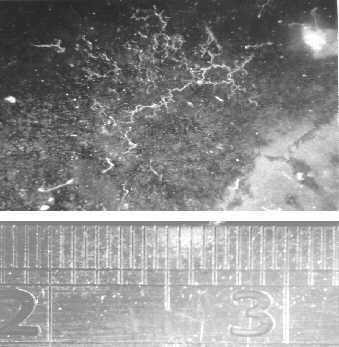 Molten metal shrinks while cooling, which causes the formation of cavities within the resulting material if additional metal is not added in time. The materials tested under this experiment are SS 304 from stainless steel mills, which contain natural shrinkage. The shape of the specimen is a rectangular bar with a square cross section of dimensions 13x 13x 34cm. In Figure 1, W,X,Y,Z, indicates the four side surfaces of the specimen, while A and B indicate the front and back surfaces respectively. Fig 1: The dimension of casting ingot and scanned surface W,X,Y,Z. Much consideration went into the choosing of the probe as well, due to the changing sensitivity of ultrasound frequencies to different defect size. The smaller the defect, the higher the frequency of the ultrasound required to detect it. Unfortunately, the higher the frequency also means the higher the rate of signal dampening in a material. When testing for stainless steel shrinkage, the attenuation of the test signal is a major factor due to the course grain structure of steel. To reduce the dampening of ultrasound within the test material, lower frequency probes are preferred. However, the testing capability of the probe is compromised if the frequency of the ultrasound is too low. Also, to be able to increase the amplitude of the ultrasound signal, the probe should not be too small. This experiment uses K. K. K1S probe, with a center frequency of 1MHz and a 34mm crystal. Due to the effect of surface roughness on the ability of ultrasound to enter the specimen, a couplant is needed to facilitate the binding of the probe to the specimen to allow for better penetration of the ultrasound. In this study, we use tallow as the couplant, which has the advantages of good binding and being economical. This experiment uses straight beam pulse echo method and measures the propagation time and amplitude change of the reflected signal to determine the effect of cavities on ultrasonic waves. The main testing equipment used is the USK 7D produced by German company K.K. This is a common equipment used in the industry, with the added bonus of portability. In order to further analyze the ultrasound signals, the USK 7D unit was modified to allow the data collected to be put into A/D converter with the sampling rate of 100MHz in a personal computer. The resulting data is then presented in various forms with the use of software developed under the MATLAB environment. The signals are obtained by manually scanning every 10mm along the inspected specimen's center axis on all four surfaces (A-scan). These data are then inputted into the computer and saved. Additionally, the change of the geometric dimensions of the shrinkage of the specimen has large effect on the ultrasound waveform. To better observe their correlation, the specimens are dissected and the metallographic image of shrinkage observed. This is then matched to the data collected to obtain a conclusion. The shrinkage responses of ultrasonic signals of the A-scan are obtained from this experiment. In Figure 2, with the probe on surface W, 11cm away from front surface A. The shrinkage and bottom surface reflected signals can be easily identified at a relative time scale of 2700 and 5100, respectively. This shows that it's possible to detect the shrinkage based on the ultrasound signals using the equipment setup described. Fig 2: A-scan obtained on surface W, and a point 11 cm away from the front surface A. Fig 3: A-scan obtained on surface X, and a point 11 cm away from the front surface A. Fig 4: A-scan obtained on surface Y, and a point 11 cm away from the front surface A. Fig 5: A-scan obtained on surface Z, and a point 11 cm away from the front surface A. To better determine the effect of shape, size, and direction of the shrinkage cavity on an ultrasound signal, Figures 3, 4, and 5 show A-scan results corresponding to side surface X, Y, and Z respectively. All results are taken along the center axis of each surface, with the probe position on 11cm away from front surface A. From these figures, it can be seen that the same cavity shows up differently when scanned from all four side surfaces. The resulting signal amplitude appears to be similar in all four figures, with a relative magnitude averaging at around 150 to 170. The signal does appear at different time in the figures, showing that the shape of the cavity is asymmetric. The metallographic image of the cross section surface 11 cm away from the front surface A is shown in Figure 6, it can be seen that the distribution of the shrinkage corresponds to the response of the ultrasonic signals is in a very high agreement. Figures 7 and 8 represent the signals taken at a point 22 cm away from the front surface A, and along side surface W and X, respectively. The resulting signals in Figure 7 show the shrinkage response signal is mixed with the noise signals and very difficult to be identified. However, the shrinkage signal can easily be seen in Figure 8, which matches the metallographic image of the cross section surface 22 cm away from the front surface A in Figure 9. The probe when scanning on side surface X, the dimension of shrinkage is 8mm encountered, while the result on side surface W, the dimension of shrinkage is only 5 mm encountered. Fig 7: A-scan obtained on surface W, and a point 22 cm away from the front surface A. The shape, size, and direction of a shrinkage cavity does have a direct effect on the resulting signal during an ultrasonic inspection. From this study, it is also shown that the existence of a cavity cannot be determined just by data taken on a few set points along a specimen. In general, during solidification, the closer to the last solidified end surface of an ingot, the larger the cross sectional area of a shrinkage. Fig 9: The metallographic image of the cross section surface 22 cm away from the front surface A. After a continuous scan on side surface W, and along the center axis from front surface A to back surface B, the result is compiled into a B-scan, as shown in Figure 10. The horizontal axis is the propagation time of the signal, while the vertical axis represents the distance from front surface A to back surface B. The shrinkage signal can be seen at the relative time scale of 2700 mark, with its bottom surface reflection signal at the relative time scale of 5100 mark. The existence of shrinkage in this specimen can be easily determined from this figure, even though the signal response are very poor between the position 19 to 21, and 25 to 27 respectively. Since B-scan can provide information of the relative location of shrinkage, it is a helpful tool in determining the existence of shrinkage faults in a material. Fig 10: B-scan obtained on surface W, scanned from the front surface A to the back surface B. The use of ultrasonic straight beam pulse echo techniques can determine the existence of shrinkage in SS304 steel. The geometric shape of the shrinkage cavity has an important effect on ultrasound signals. Under severe conditions would render the result inconclusive. The use of computer to process the result into a B-scan is beneficial to the determination of the existence of the shrinkage in steel casting ingot. This research project was supported by Tang Eng Stainless Steel Plant, under contract no. T184JH11. J. D. Lavender, "n Historical Note on Ultrasonic Examination of Steel Castings." Insight, Vol. 38, No.8, August 1996, p.589. D. S. Kupperman, K. J. Reimann, and J. Abrego-Lopez, "The Application of Ultrasonic Waves to Assess Grain Structure in Cast Stainless Steel." Proc. 11th World Conference on NDT, Las Vegas, NV. USA, Nov. 3-5 1985, 3, p.1685. D. S. Kupperman, K. J. Reimann , and J, Abrego-Lopez, "Ultrasonic NDE of Cast Stainless Steel." NDT International. Vol. 20, No. 3, June 1987, pp.145-152. C. Boveyron, D. Villard, and R. Boudot, "Ultrasonic Testing of Cast Stainless Steel Components." Proc. Of the 11th International Conference on NDE in the Nuclear and Pressure Vessel Industries, Albuquerque, New Mexico, USA, April 30 - May 2, 1992, pp.403-408. M. Serre, A. Viard, N. de Mathan, and D. Villard, "Ultrasonic NDE Techniques Enhancement for the Cast Stainless Steel Components." 6th European Conference on NDT, Nice, France, Oct. 24-28, 1994, pp. 831-835.